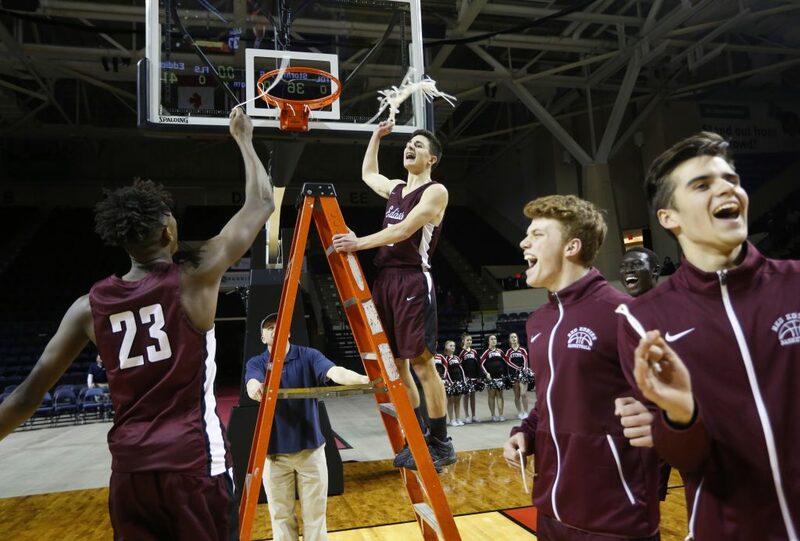 The Red Eddies win a tightly contested Class AA final, 41-36. 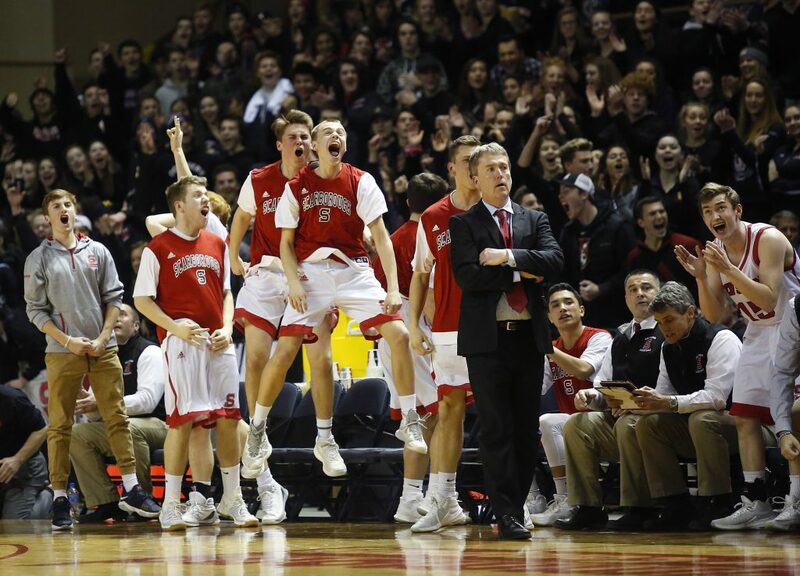 Two well-executed inbound plays in the fourth quarter, game-long defensive pressure and clutch foul shooting Friday night led Edward Little to its first boys’ basketball state title since 1946. 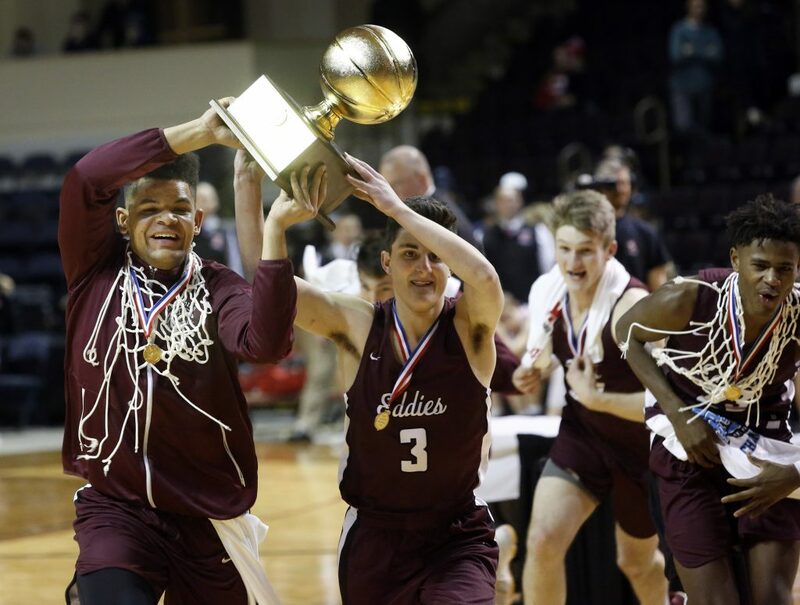 The Eddies beat Scarborough 41-36 in the Class AA final before a large crowd at the Cross Insurance Arena. 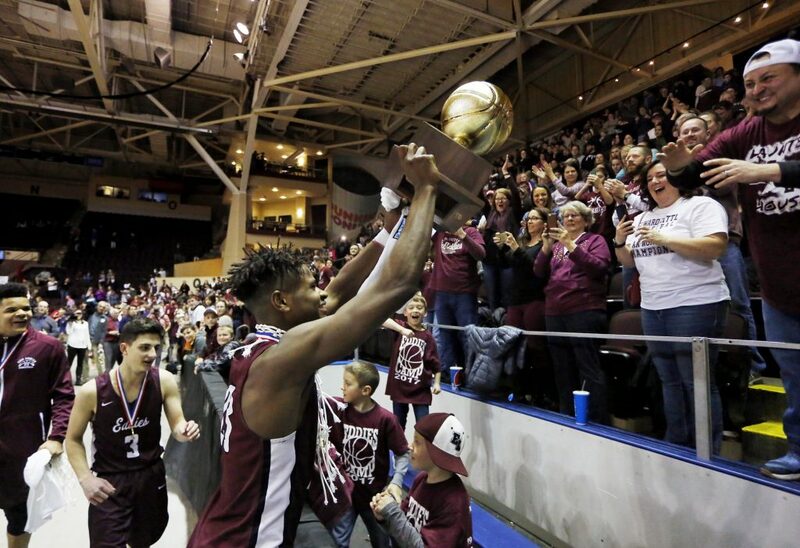 Earlier in the night, the Edward Little girls defeated Gorham to win their first state championship. The inbound plays came after the tightly contested game had reached 30-30. The first freed Darby Shea for a 3-pointer with 3:50 to play and then Wol Maiwen got a short jumper to roll around the rim and in with 2:35 left. 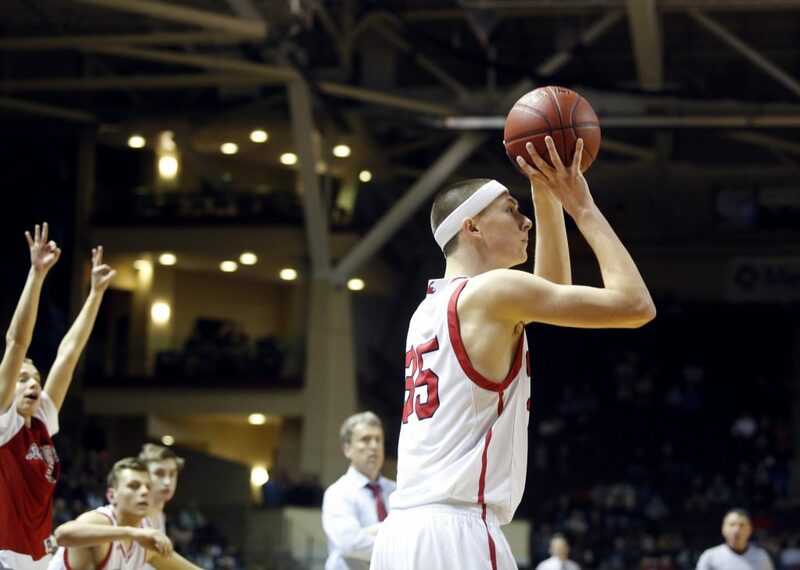 Shea and Tyler Morin then made four straight free throws to stretch the lead to 39-33 with under 25 seconds to play. 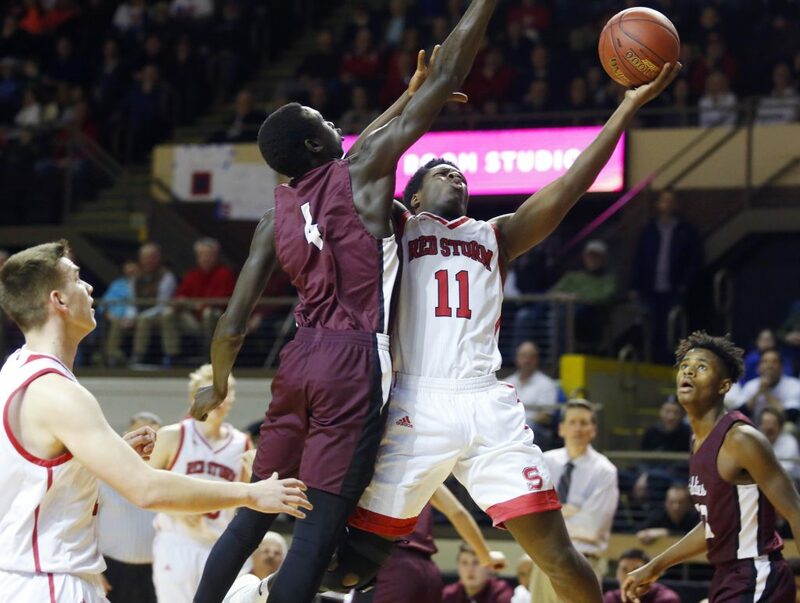 Scarborough (17-5) was making its first appearance in a championship game. 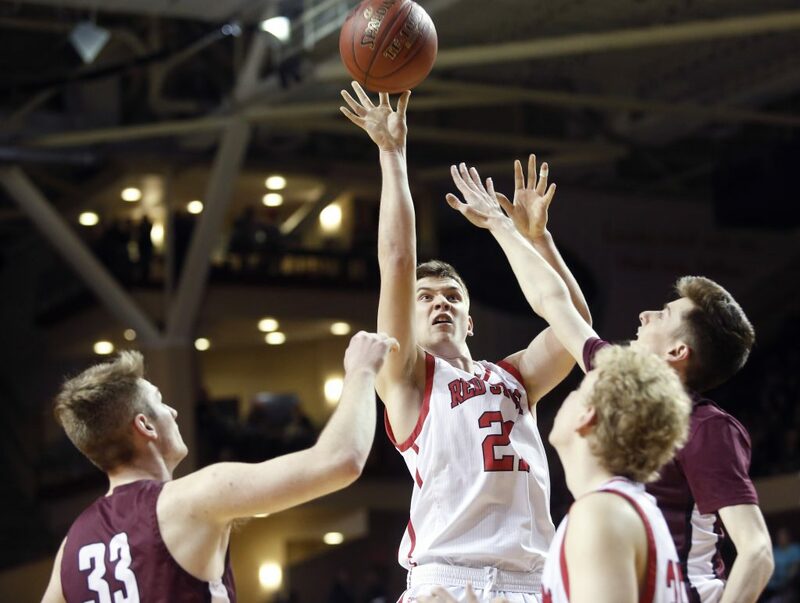 Ibn Khalid was the standout for Edward Little (18-4) with 16 points and tough defense on Nick Fiorillo, who also scored 16 for the Red Storm but struggled to find space. 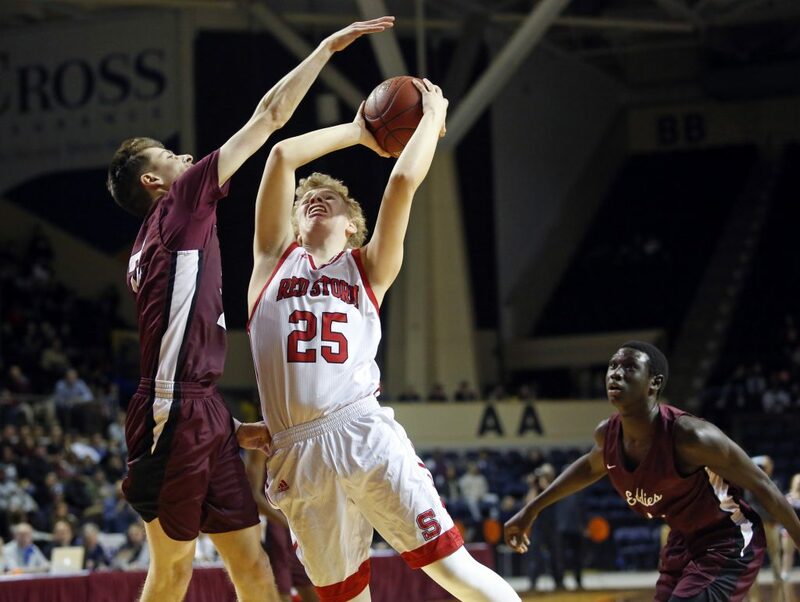 Scarborough shot 34.2 percent from the floor and the rest of the Red Storm were also shut down, with Fiorillo’s primary help in the second half coming from Reece Lagerquist with two hoops after offensive rebounds. Lagerquist also checked Maiwen throughout, holding him to six points. “We went further than Scarborough has ever gone so that feels good and I’m sure later in the week I’ll start to feel good about that, but right now it does stink. We thought we had a good chance at it,” Lagerquist said. Scarborough also lost valuable opportunities by missing six free throws on 13 attempts. The Eddies didn’t even have a free throw attempt until Shea converted a 1-and-1 with 44 seconds left for a 37-32 lead. Paul Kirk made one free throw, following by Morin’s two. Fiorillo did make a 3-pointer with 8.1 seconds to play, and with 6.4 seconds left, Morin missed the front end of a 1-and-1 but Maiwen grabbed the offensive rebound. Khalid carried the Eddies for most of the first half but got key support down the stretch from Shea, who scored 10 of his 12 points in the second half. Edward Little led 19-18 at the half. 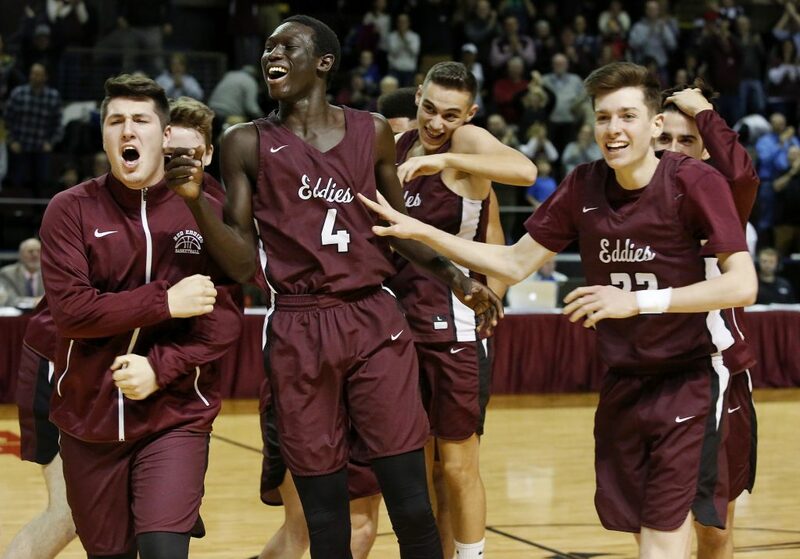 The Eddies made their mark by turning steals into points, including one at the end of a first quarter controlled by Scarborough by Khalid, and one by Maiwen he turned into a forceful one-hand dunk to cut the lead to 15-14. Both teams had good contributions from unexpected sources, in part because of the defense being applied on the top scorers. 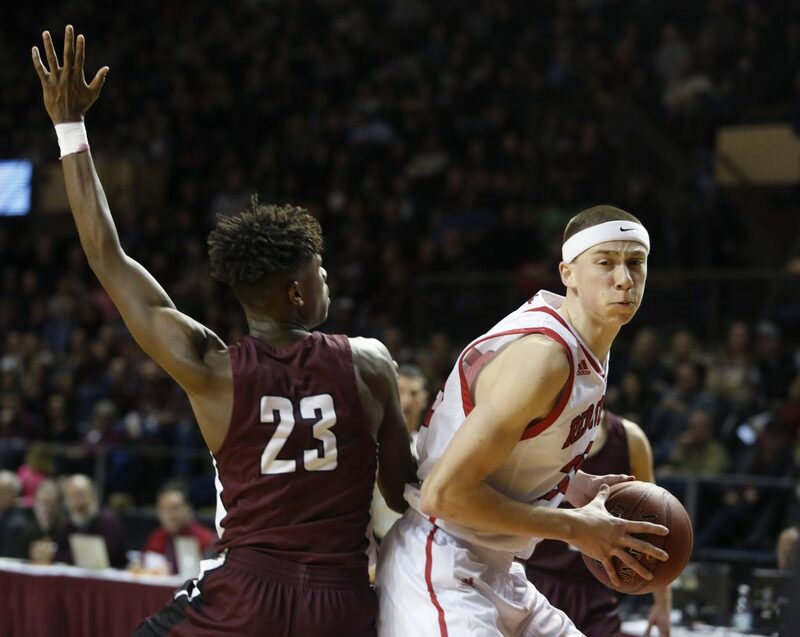 Morgan Pratt of Scarborough harassed Shea into a 1-of-5 shooting half, while at the other end, Fiorillo (4 points, 2 fouls in the first half) turned it over four times against Khalid’s pressure. Edward Little point guard Tyler Morin, who shoots sparingly, had five points. His 3-pointer put the Eddies in front 19-18. Jaquan Seme of Scarborough had six points and was sharp going to the basket. Reserve Brian Austin scored five.